Yesterday I discussed two lessons learned from Michael Vick, including the importance of crafting a positive narrative plot for your career. However, even if you get the narrative you desire, you will not build power unless you are also noticed. Like Michael Vick, golfer Tiger Woods found himself in a situation of public disgrace. However, he has not yet been able to generate the excitement and momentum Vick has. Why is this? Woods is not winning and so people are not talking about him. 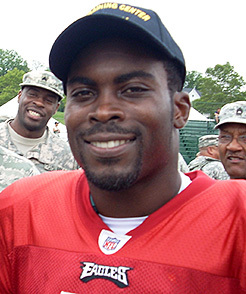 Vick is now working harder and playing better football than he ever did before. People are noticing, they are discussing it, and the anti-Vick narrative seems to be dissipating, ever so slightly. So how can you get noticed in your business? Is there an idea that you’ve been privately toying with? What project (pick just one) can you launch this year to get noticed by clients, senior executives or another company?